In a competitive real estate market such as the Seattle area, success requires that you have dedicated, full-time professional representation. Your agent must be available evenings, weekends or whatever days and time frames that work best for your schedule. When you choose to work with Mary Pong, you will never be handed off to a less experienced agent… Mary values having a personal relationship in representing each one of her clients from the initial advisory stages all the way through closing. Buying or selling your home in Seattle, Bellevue or in other areas is one of the most important financial transactions in many people’s lives. Most consumers realize that while all real estate agents may be licensed, their experience, communication skills, response and accuracy of recommendations and sales strategies for success often vary widely. It matters who you choose to represent and guide you through the important and complex process involved in real estate transactions. Take time to do your homework in choosing professional, ethical, experienced representation. Your goal is finding someone that you can trust, and who has a proven track record of success. Choosing a knowledgeable advisor will help you avoid wasting time, make the process more efficient, less stressful, avoid costly mistakes and result in success. Real estate industry surveys repeatedly find that neighborhood quality is the most important reason why homeowners choose where they want to live. So, it’s important to work with someone who can identify and recommend desirable neighborhoods in the Seattle area that you may not be familiar with in your real estate search. Mary is a long-term resident of the Seattle area and has intimate personal knowledge of all the diverse, unique neighborhoods located in Bellevue, Kirkland, Redmond, Woodinville, Seattle, Mill Creek, Bothell and other areas of King and Snohomish County. She can inform you of school districts, parks, local market conditions, as well as attractions, shopping and even dining recommendations. She will also keep you informed with up-to-date listings in real time. Mary’s listings and marketing efforts stand out from the competition. Her use of professional high definition photography, impactful and eloquent marketing pieces ensure that your home will make a lasting, compelling impression on buyers. Her Chinese and fluent English language skills also benefit her seller clients, as she can advertise their properties in local, national and international marketing platforms. Her language skills also enable her to communicate effectively with Chinese buyers and their agents. This is especially important in the Seattle area, as it significantly expands the pool of buyers for her clients. The negotiation skills of your real estate broker can play a pivotal role in your success either in securing or selling a property with the best possible price and terms. Contrary to popular belief, successful negotiation isn’t about always taking a hard line or being tough and demanding. Instead It requires comprehensive knowledge of contract terminology and language, accurate disclosure of details, fairness, ethics, quick response, being cautious with contingencies, staying calm and patient in managing what can become an emotional process for buyers, sellers and agents…and knowing when it makes sense to meet halfway on relatively small expenses or minor issues to help secure the deal. Negotiation skills are also a key aspect of the many strategies that Mary will recommend for positioning your offer in a competitive multiple offer situation to maximize your chances of success. Her clients have been successful when competing with more than 20 other purchasing offers for properties in the Seattle area. The negotiation process starts with establishing trust and a good communication rapport with the listing agent early on…the reputation of your broker matters. Mary has earned a stellar reputation for being a fair, knowledgeable and successful negotiator with both her clients and her peers. We’ll cover the upfront costs that can increase your homes selling price! Investing in physical improvements to a home can dramatically increase its sale price, but for many clients affording the recommended improvements can be a financial hardship. Compass Concierge now enables me to offer you a simple no-cost solution! Mary can now assist her clients to qualify for the Compass Concierge program that will fund the cosmetic services needed to increase the value of their property prior to listing…staging, cleaning, painting, cosmetic renovations, landscaping, etc. Compass will front the costs of these services for you to ensure that your property has maximum market appeal. When your home sells, you’ll simply repay only that amount from your sales proceeds at closing… nothing more! Check links here. Many sellers cut corners in preparing a home for listing, especially when it is a hardship to afford the recommended improvements needed prior to listing their property. Unfortunately, it nearly always results in significantly diminishing their homes marketing appeal resulting in lower offers and incurring price concessions later during the negotiations stage when the deferred maintenance issues will be called out by the buyer. The net impact is often a significant loss of potential equity in comparison to marketing your home in a more desirable condition for buyers. Check link here. When you choose to work with Mary Pong, she will provide you access to some of the Seattle area’s most experienced escrow, title, mortgage companies, property management, HD professional photography, impactful actual or virtual staging, interior design, experienced home inspection, handyman services, painters, knowledgeable contractors and a full-time transaction coordinator to ensure that your buying or selling experience is efficient, stress-free and successful. 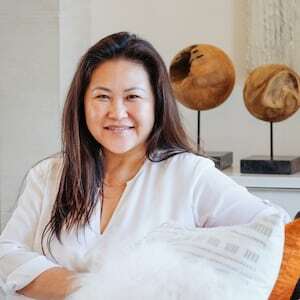 Mary Pong is associated with Compass, a world-class brokerage who is building the first modern real estate platform pairing the industry’s top talent with technology to make the search and sell experience intelligent and seamless.